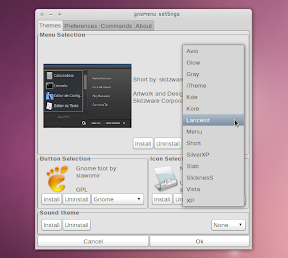 GnoMenu is an eye-candy GNOME menu with themes support which works both for composited and non-composited desktops. 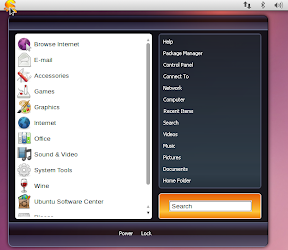 It works with the GNOME Panel, Avant Window Navigator, Cairo Dock, KDE Plasma and more. GnoMenu 2.7 was just released and it adds Zeitgeist support: simply right click an application in the menu and you'll see a list of most used / recently used files related to that application. Once you install GnoMenu, right click the GNOME panel, select "Add to panel" and then add the newly installed GnoMenu. Performance-wise, GnoMenu has improved a lot. However, after selecting the option to load the menu icons into the memory so GnoMenu is more responsive, the memory usage is somewhere around 23.3 mb (as a comparison, MintMenu uses around 20 mb on my system). But that's the story with eyecandy: it requires some extra RAM.